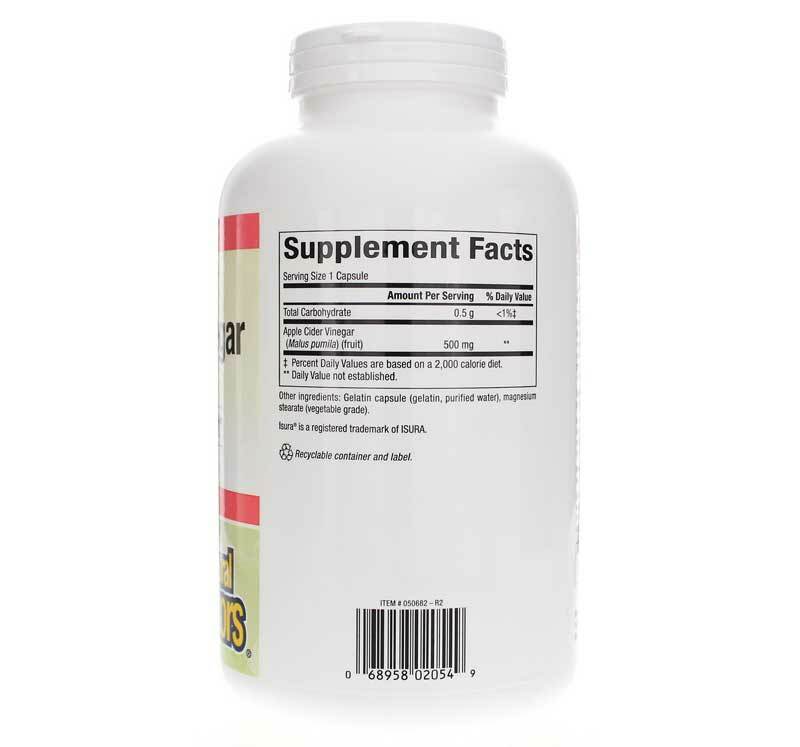 Natural Factors captures the health benefits of a natural restorative in its Apple Cider Vinegar supplement. This vinegar is made using crushed, fermented apples. Fermentation involves bacteria and yeast breaking down sugars. Initially, the sugars are transformed into alcohol. And when the alcohol ferments further, vinegar is the result. The active ingredient of apple cider vinegar is acetic acid, which is what gives vinegar its characteristic tartness. It also contains malic acid. It is this blend of acids and other compounds that has led to apple cider vinegar being viewed as a beneficial tonic. It is believed to help cleanse the body of toxins, promote healthy blood circulation, support digestion and optimize well-being. 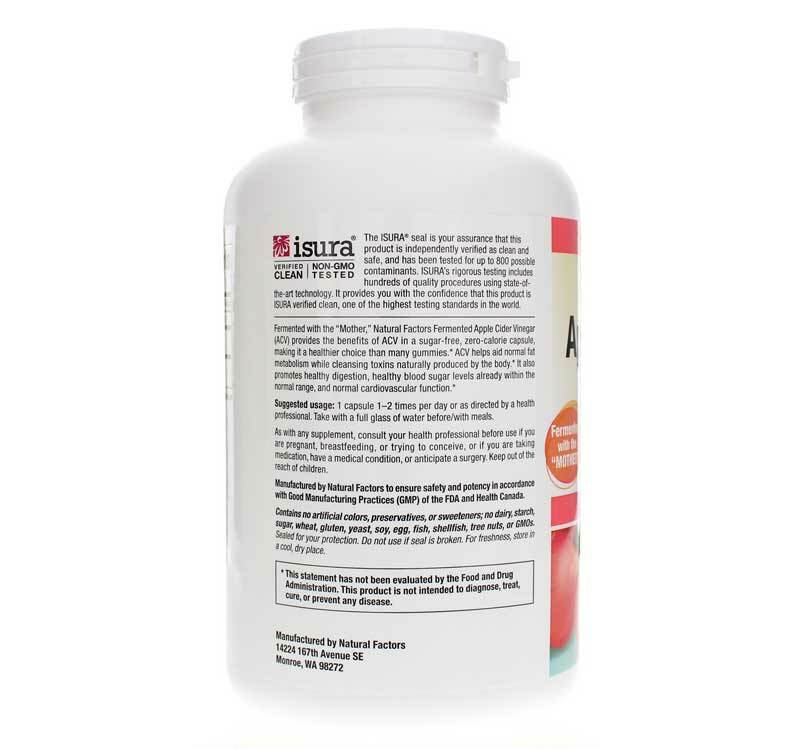 This formula comes in easy-to-swallow capsules and has been tested for purity and potency. It is free of dairy, soy, yeast, and artificial colors, preservatives and sweeteners. 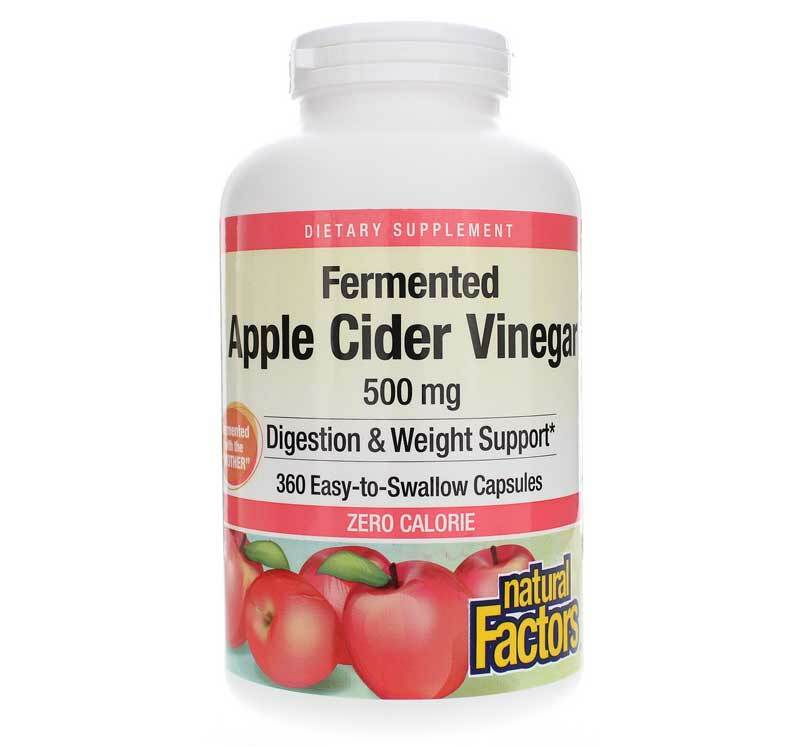 Try Apple Cider Vinegar from Natural Factors and see what a difference it may make in your overall well-being! Contains NO: dairy, sugar, wheat, gluten, soy, yeast, egg, fish, shellfish, salt, tree nuts, GMOs, artificial preservatives, colors or sweeteners. Adults: 1 to 2 capsules, 3 times per day at mealtime or as recommended by a healthcare professional. I started taking Apple Cider Vinegar 500 Mg to see if I could lower my blood pressure naturally. I've been taking the capsules for just a few weeks. I have been taking 3 tablets daily and so far my blood pressure has gone from 149/105 to 131/92. Apple Cider Vinegar is a great product.